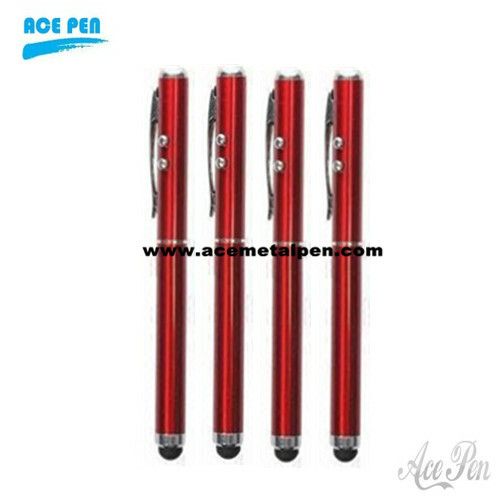 Made with high quality light metal material this touch screen stylus with laser pointer, and ball pen is specifically designed for Apple iPad iPhone iPod Touch and other high-End touch screen electronics that use the latest capacitive screen technology such as iPhone 4S. Combining the convenience of a laser pointer, ball pen and soft touch tip provides precise touch and control gives you the smoothest navigation while protecting your touch screen. Great for lectures and presentations. 6. Clip design can be clipped in your pocket book diary etc. 10. It also can be used as a ball pen.